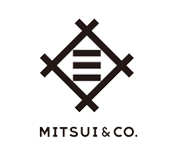 Home Case Studies Mitsui & Co.
Mitsui & Co., Ltd. is one of the world's most diversified and largest comprehensive trading, investment, and service companies, with the organization expanding across Asia, it identified the Concur platform as a way to standardize travel and expense processes, and as a solution to drive innovation through the richness of its offerings. We are very satisfied with our IT investment in Concur. We now have a platform to deliver our broader aims of migrating IT systems in Asia to the cloud and standardizing operations across the region. Using Concur, Unisys creates new processes to make their travelers' lives easier.